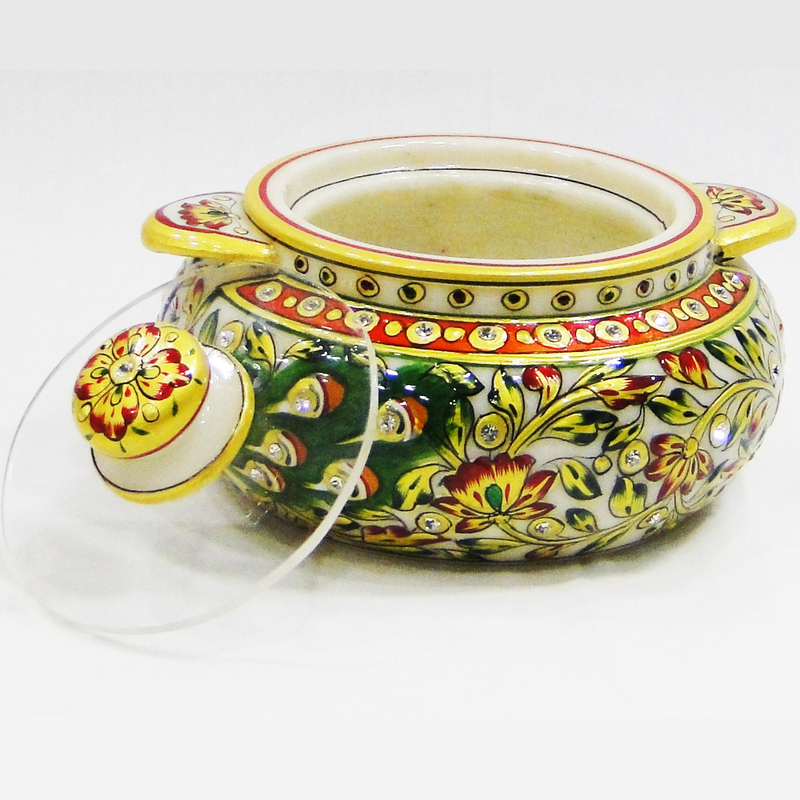 This unique matki style marble container made completley with marble and engraved with fine works of art is a result of meticulous finesse from master Read More..craftsmen of marble handicrafts. 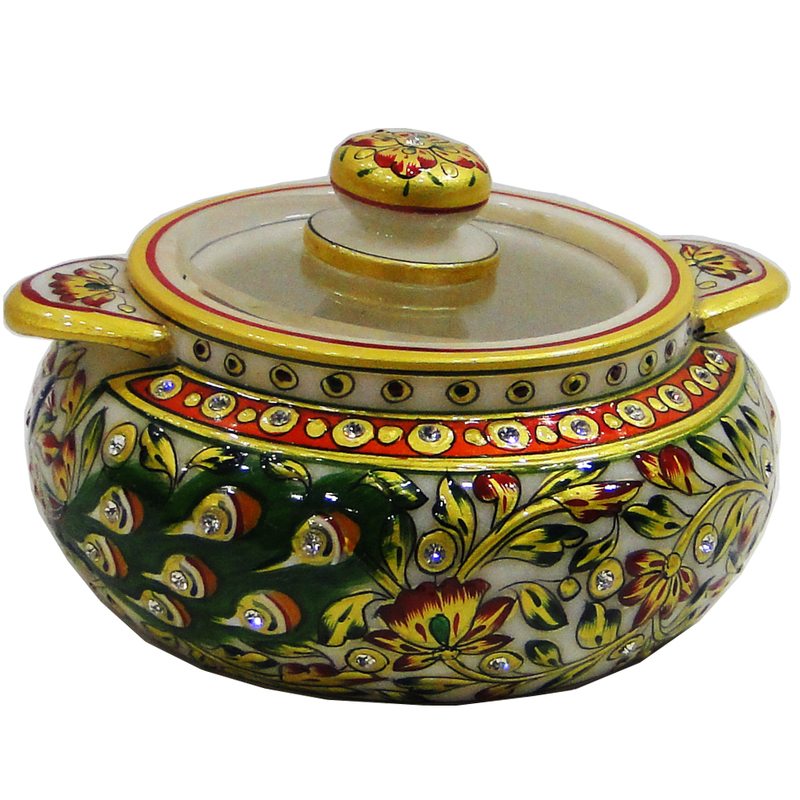 This attractive marble container is a popular gift item for special occassions like diwali. You can get a few pieces for your use too. 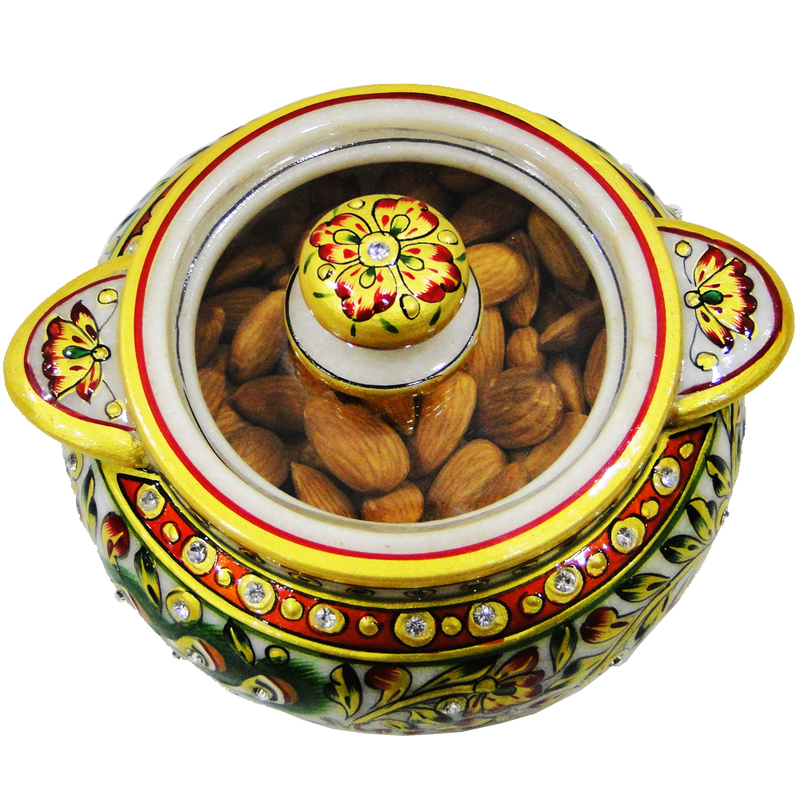 Dry fruits, different delicacies and other items can be stored in this container. The fine work of art on the base deserves a special mention. Show Less..